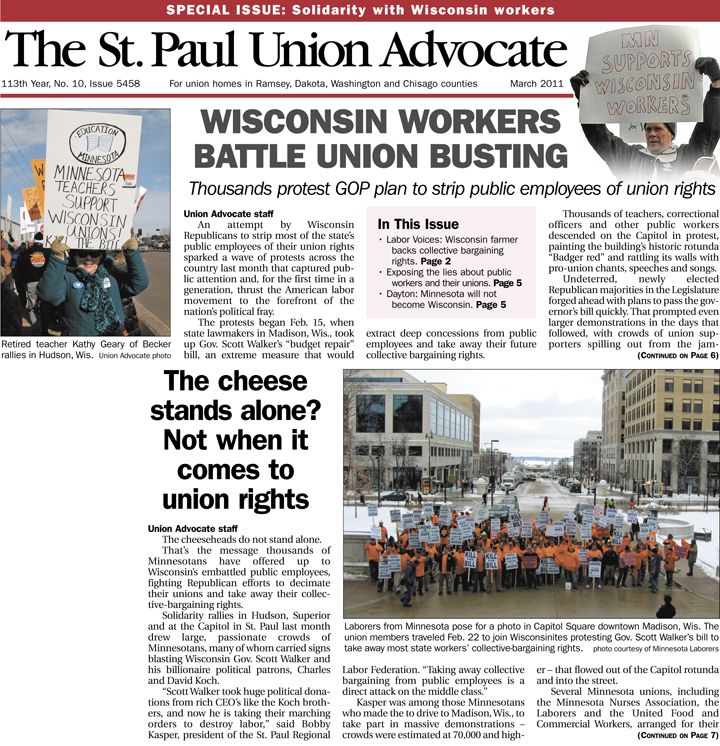 Complimentary subscriptions to The Union Advocate are provided to members of unions that affiliate with the Saint Paul Regional Labor Federation. If you are a union member but do not receive The Advocate in the mail, contact your local union about being added to our mailing list. Current subscribers: To change your mailing address, cancel your subscription, report a delivery problem or for other subscription information, call 651-222-3787 and press “0” for immediate assistance.